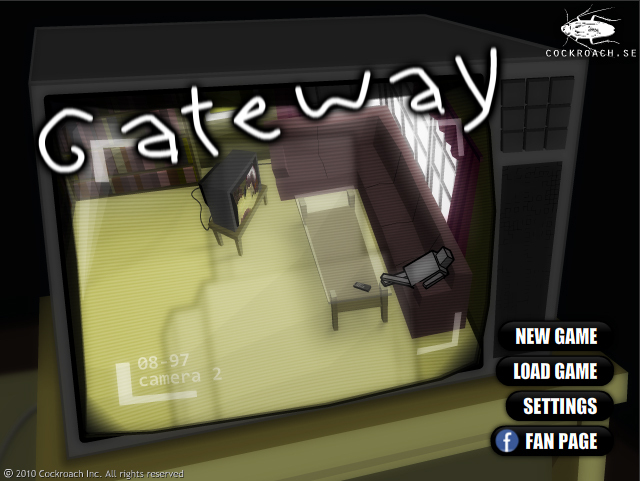 Gateway is avery unusual escape the room game. It involves robot like characters, no real plot and a big sense of uneasement. It’s an odd game to describe, but to play it, it’s fascinating. Especially the first time round. None of the puzzles involve lots of hidden objects like traditional escape the room games but instead puzzles that involve lots of trial and error. That’s my favourite kind of puzzle for these games. 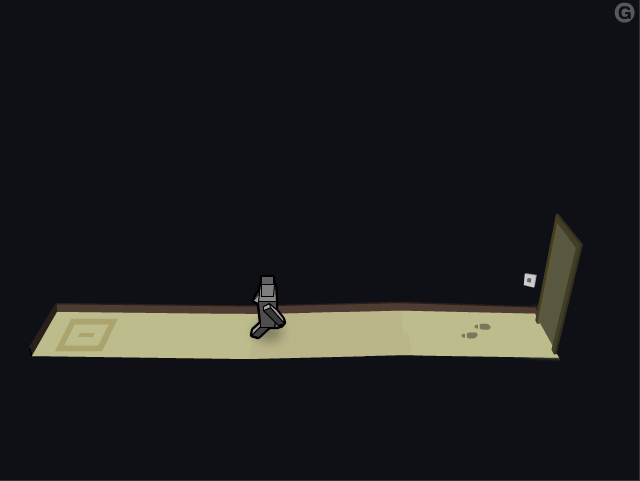 It starts off simple, walk your character to the end of the room. 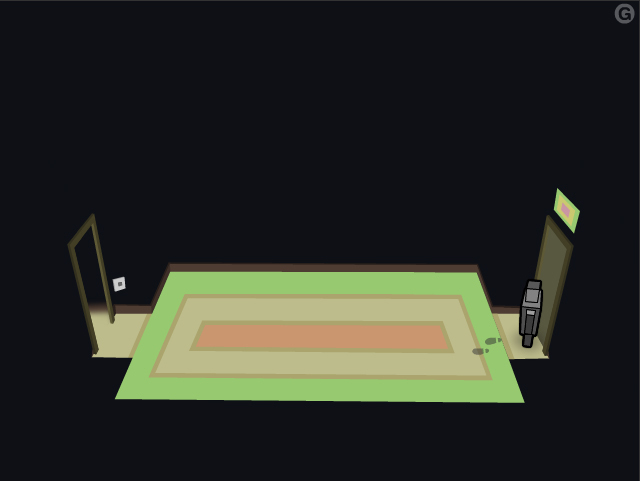 Each room has it’s own puzzle rather than one room with lots of little puzzles. It’s nice that way round I think, tackle everything a little bit at a time. 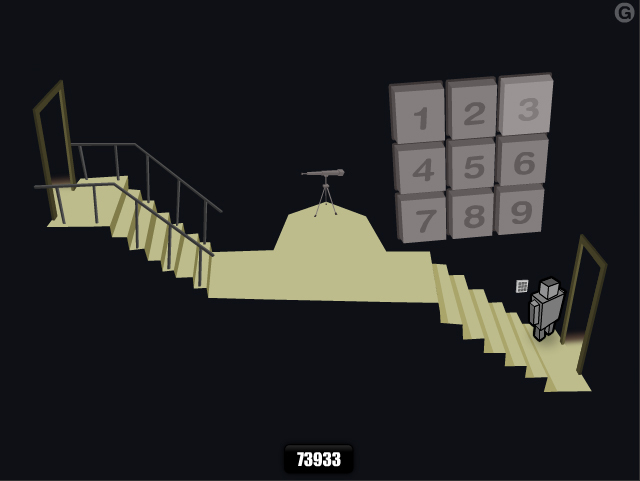 Some of the puzzles involve walking over certain areas and chaning the colour on the floor so it matches a certain sequence. I think this is a nice recurring puzzle. 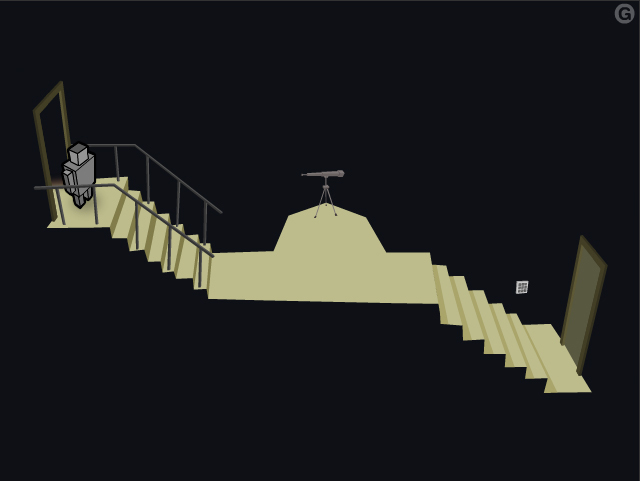 Very simple in terms of solving it too, although this particular level is difficult to get right as the image you are trying to match the colours to is so small you can’t really see what the colours are. Takes some time to get this one right. This room is a little creepy. 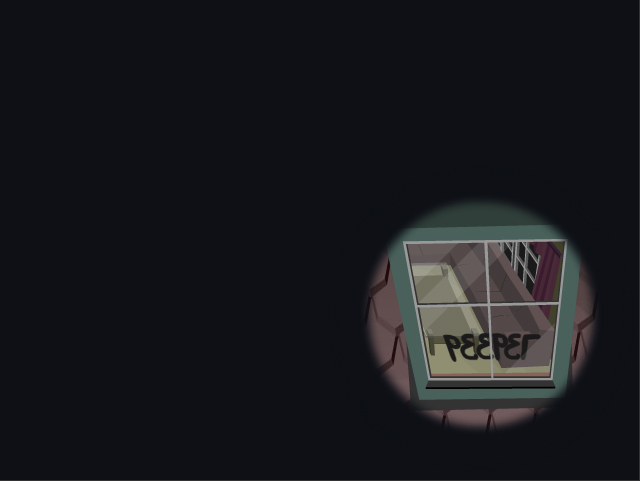 It has a little telescope which you look through and spy on a house which houses other robots who stare directly at you before giving you a clue. The robot seems to be a version of yourself but at a later or future time. You have to get the colours to match each other before you can pass through the portal and knock down the second plank, cool use of the colour matching game. 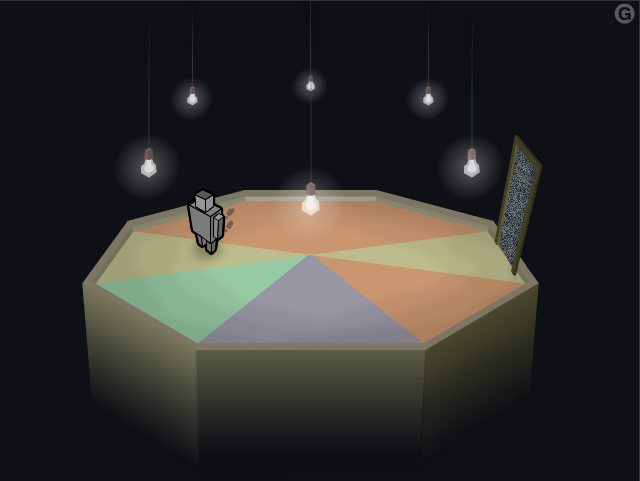 In the final room, you have to match colours again, the lights flash a certain number and that number relates to a colour. Nice puzzle, simple but intriguing. I think this kind of format would be great for an AR game. 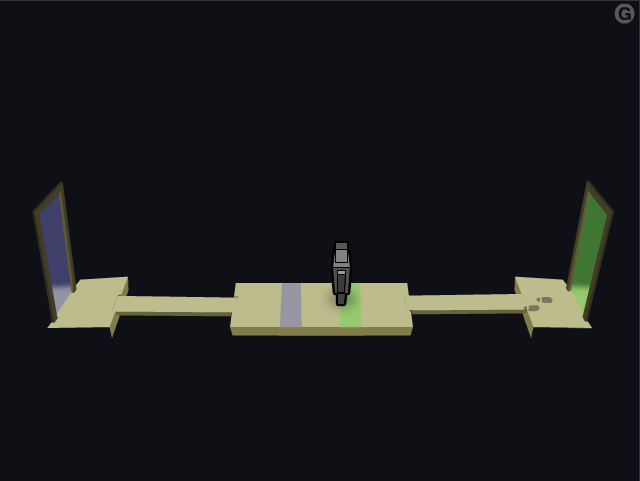 Simple puzzles that dont make you think too hard or hunt around until you become frustrated. It’s clear what you have to do without any words what so ever and it all boils down to trial and error. Fun stuff I think. Some puzzles could have been made better so that they are clearer to solve or less time consuming, but overall I think it’s a good approach to take away and apply to a puzzle game.